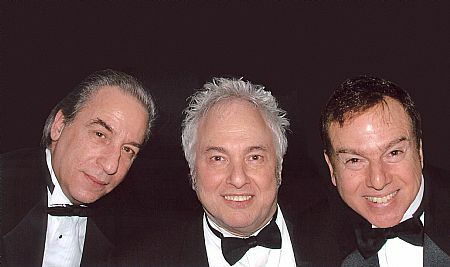 Angelo D’Aleo, Fred Milano, and Carlo Mastrangelo were all friends from the area around Arthur Avenue in the Bronx. They attended Roosevelt High School and hung out together. They began singing together and named themselves The Belmonts after the street on which Freddy Milano lived. The Belmonts, a “doo-wop” group, were formed in the Bronx, New York, in the 1950s. Hits by The Belmonts (1958-1960) include “I Wonder Why”, “Teenager in Love”, and Richard Rodgers and Lorenz Hart’s “Where or When”. Come to the Arcadia on July 28th at 7:30 pm, listen to the Belmonts, and turn back the clock to the 50’s! Tickets are on sale NOW! Ticket prices – $28, $32, $36. Call the Box Office, Monday through Friday, from 10 am to 4 pm. Or just click on the BUY TICKETS tab of this website, review the seating chart and pick your seats, pay for them with a debit/credit card, and print out your confirmation sheet. Don’t forget to bring this with you to the theater the night of the performance.